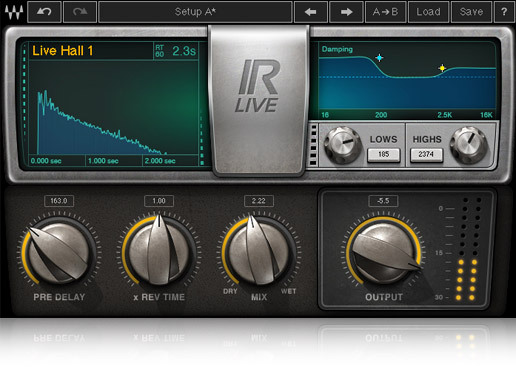 IR Live, Software convolution reverb from Waves in the IR series. Waves announces the availability of IR Live, a convolution reverb plugin designed for both live and studio situations, with an introductory price. Waves IR Live offers direct access controls and includes presets by FOH engineers. It is compatible with the Waves IR1 impulse response library, MultiRack Native and SoundGrid. IR Live is sold $99 (introductory price, regular price is $250) at www.waves.com. [NAMM] Apogee Duet and Quartet for Mac and iPad Apogee will launch in february a new version of the Duet audio interface and the update of the Quartet interface for using with iOS devices. [NAMM] Avid and Abbey Road Studios song contest Avid and Abbey Road Studios are looking for three songs or tracks, as chosen by industry hitmakers, to get mixed and mastered at Abbey Road. [NAMM][VIDEO] Kawai VPC 1 Piano Controller Kawai confirms the launching of the VPC 1 MIDI and USB controller for virtual pianos, with the look and feel of a real piano.